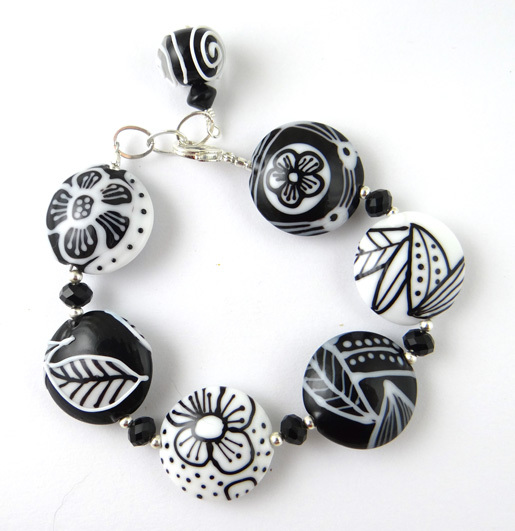 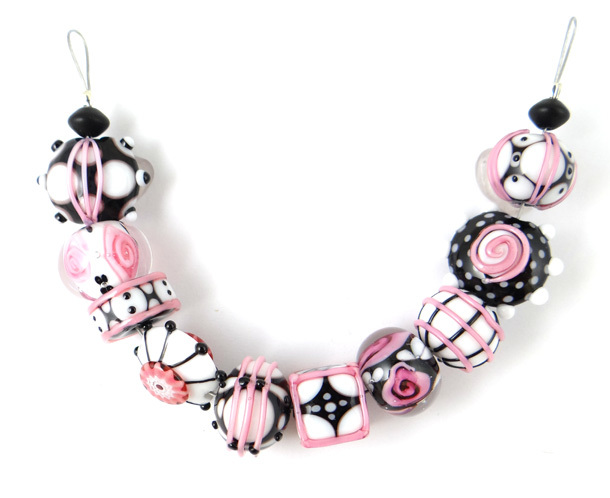 1-2 en 4-5 november heeft Corina Tettinger in Leende twee 2 daagse workshops geven. 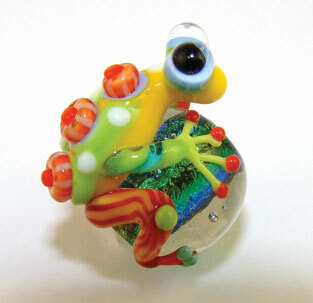 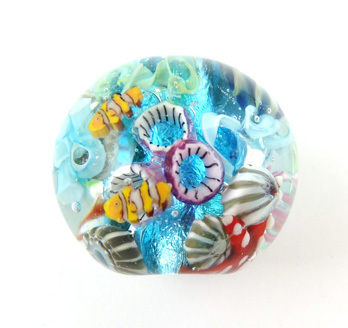 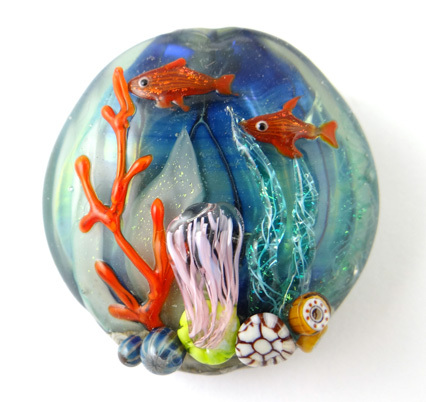 A variation on the Quark beads in a way – this class focuses on making components for “sea-creatures”, and assembling them on the surface of the bead, rather than in the classic (and time-consuming) encased aquarium bead. 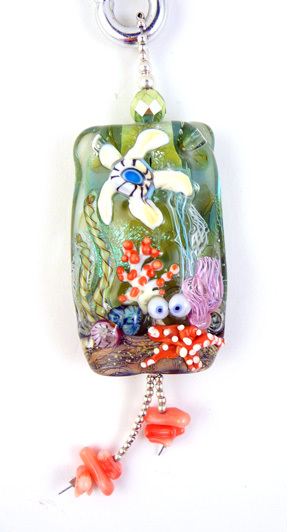 Depending on the interest of the students, we will make sea-weed, corals, anemones, jellyfish, turtles, starfish, octopus, crab, as long as time doesn’t run out. 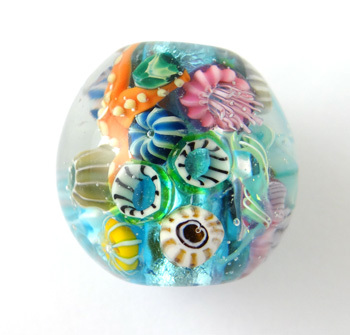 We will also discuss how these creatures can be encased later on, and MAKE an encased Ocean bead at the end of the second day, if time allows.